According to a report by BBC titled Singapore’s low tax rate an incentive for foreigners, enjoying an attractive Singapore income tax rate is a factor that weighs into the final decision to relocate to Singapore for work or business. For workers coming from jurisdictions which have relatively high personal income tax rates, Singapore is an attractive alternative, even though alcohol and cigarettes are taxed heavily there. In the video below, BBC journalist Mariko Oi illustrates how a person earning US$100,000 per annum will pay personal income tax at a rate of approximately 24% in the UK and California or 30.1% in Sweden. In comparison, Singapore income tax rate for the same person will be a little over 7%. Analysis by Rikvin shows that lower Singapore income tax burden mean that workers take home a higher disposable income, which then translates to higher spending power. The report also sheds light that brands opt for Singapore company incorporation and set up global headquarters here because of immense market opportunities as well as the attractive Singapore corporate tax rates. In addition, to promote entrepreneurship, Singapore offers its newly-launched startups a tax rebate under the SUTE, the Startup Tax Exemption Scheme. Nonetheless, its comparatively low tax rates have earned Singapore the moniker “Switzerland of the East,” a tag which implicates the unpleasant aspects of being a tax haven. Though tax havens are in essence not illegal, wilful tax evasion is. Singapore takes such cases seriously and has effected tighter banking rules this month as well as greater international cooperation. 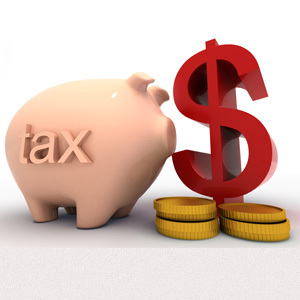 These efforts aim to counter instances of wilful tax evasion and maintain its clean image.